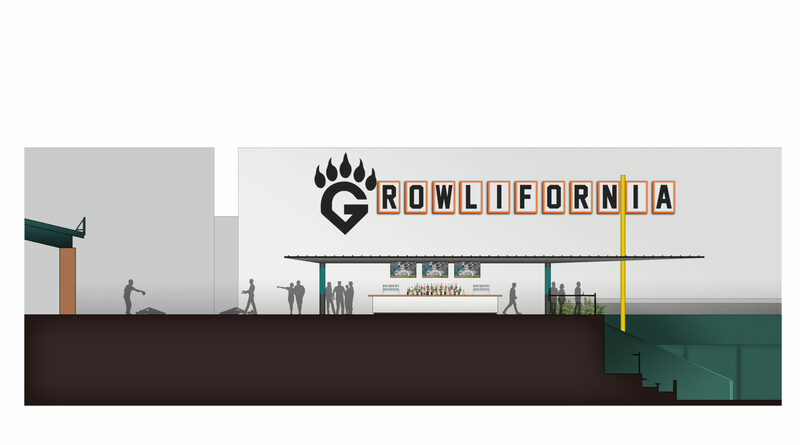 Always a fun and lively family environment, Chukchansi Park is adding a new destination to their downtown ballpark. ‘Fresno Social’ will feature a non-ticketed area centered around an elevated, massive bar. This concept, opened in spring of 2019, provides shaded gathering well suited for the summer heat of Fresno. Ten tiered gathering decks cascade downward from the elevated concourse to the field, affording fans a variety of unique vantage points to take in Grizzlies baseball, Fresno FC soccer, and a variety of other community events. Situated at the left field foul pole near the outfield’s Homerun Alley pedestrian walk and downtown entry, the covered area keys into existing concession stands and restrooms, instantly creating a destination equipped with the needed infrastructure to support the fans it will draw seeking a cold drink, a bit of shade, and space to gather with friends away from their seats. 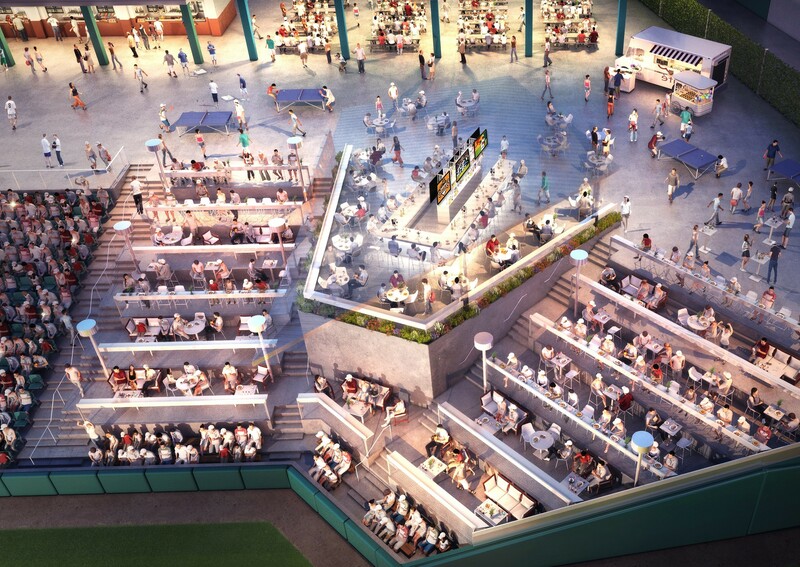 With its angled roof perched some 25’ above the field, ‘Fresno Social’ provides the ballpark with an iconic element sure to encourage fans to show up early and to stay late.